Want a flat stomach and amazing skin? Give up on the detox diet and take a hint from the Surinam Toad. It’s super-thin and has an incredible dermis. The spongy loose skin on its back is a fantastic medium to host embryos. Its eggs are embedded onto the back skin! After implantation, the eggs form pockets in the skin, which ends up looking like a honeycomb. 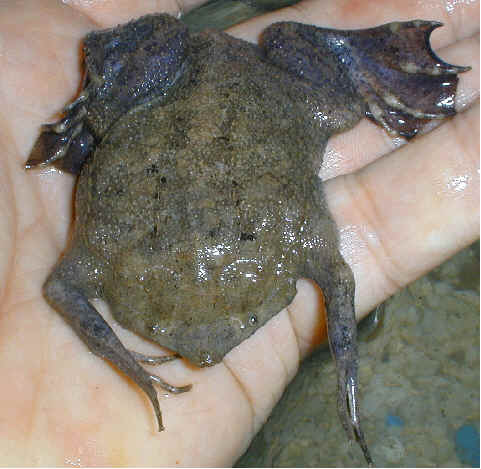 Inside the skin, the eggs turn to tadpoles, and tadpoles into tiny frogs. Eventually, they emerge from their mother’s back as tiny Surinam Toadlets. We know, it’s a creepy animal – but it’s doing something right. Baby got back. And back got babies. Wait! There’s more! 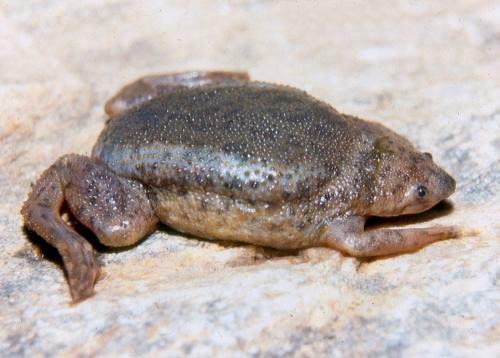 Watch the toadlets ‘hatch’ from their mother’s skin below. Guaranteed to creep you out! I have nightmares about this sort of thing happening with my pores.